This is football, football as a dream, or many dreams, a sequence of vivid images bursting out of your unconsciousness, bold with the confidence of strong alcohol pumping through your blood stream and enlivening your brain. The pictures are disconnected, but they all join up. Pierre-Michel Lasogga in the shower, alive as Bobby Ewing, oblivious, but Pam remembers everything and we remember it with her. There was a ten pound note in the street, a train journey, a nightclub, but with no roof, Elland Road’s north-east corner is its backdrop, did the crowds burn the roof off? Is Roofe playing? And not Alioski? Okay, perhaps we’ve had a drink. Perhaps this isn’t a dream. No, it’s a dream alright. Look at Burton. From a distance their manager looks like Brian Clough, a distance of metres or a distance of time or a distance of knowing. He never looked right in an Elland Road dugout. Burton’s players have been assembled from the same era. They plan to stay in the Championship by relying on experienced old pros from the olden days. Neil Warnock tried to do that to us, once, and for a while people made fools of Leeds United. The kindest thing now, for Burton’s old codgers, would be to put them to sleep. For all of them and for Clough-a-like alike, this was like taking a test with no clothes on, shivering naked in the exam room for hours, struggling to decipher equations and hoping nobody is noticing your shrunken shame. A shrill blast from a whistle and it’s all over, blessed relief. Only, that was the dream. And here’s a new whistle, and the game is starting. A game is starting, but never a match. The ten in white are playing, while one in green looks on. How many goals before we put Felix Weidwald upfront and give him something to do? This is Super Leeds United, Bremner, Giles and Clarke volleying and backheeling around Elland Road, Yorkshire-state sanctioned cruelty that was permissible in the 1970s but ought to have been outlawed long before now. For a long time we thought it had. Did we fall asleep and dream it’s 1972? Stay asleep a few months more and we’ll win the FA Cup: Lasogga, 1-0! The generous, patient understanding spouse of Pierre-Michel will soon be slipping in and out of consciousness, lulled into dreams by the gas and air, busy bringing another Lasogga into the world; his step-father was an international goalkeeper, his brothers and sister all play, it’s a dynasty and soon there’ll be a new one. 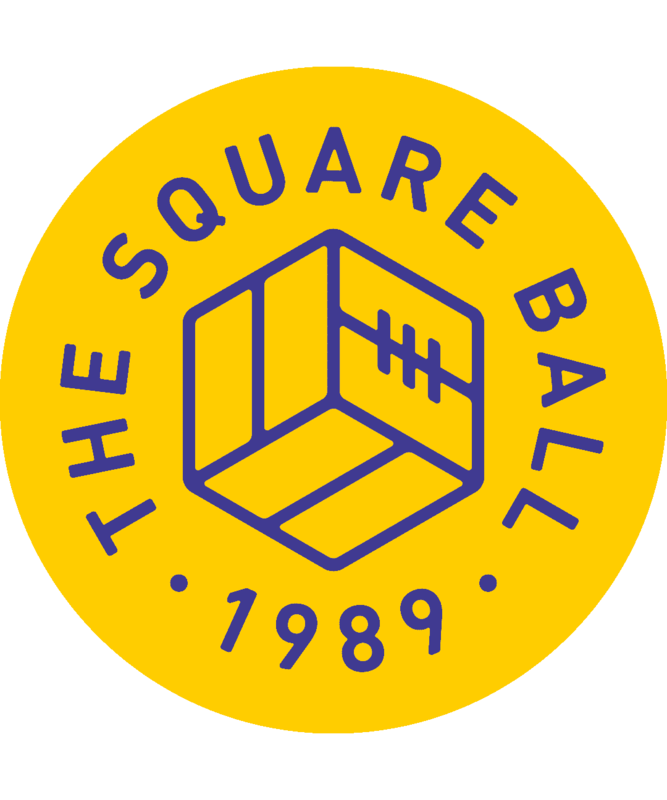 The current one is new to us, and brought a goal into the world when a glistening god of Scandinavia marched through the centre of the picture as if emerging from a dream, and gave the ball to Lasogga, who played a one-two with football’s most prominent humanist. Lasogga ran between the centre-backs and surfed into shore, sweeping the ball into the net as he did so, the first goal of the day or night, the eighth shot of playtime. The legends foretold a stormtank, who would stand and fire and never need to move, but already Lasogga had spun like Saiz in the penalty area to create a chance for Roofe, had volleyed just over the bar, and now had orchestrated a passing move to make his debut goal a portrait in dispute with his own folklore. In another moment, Hernandez passed to Saiz precisely between the raindrops, and Saiz danced flamenco steps where they fell, rolling a pass to Lasogga who cracked a swerver off the post. The two embraced, laughing, exhilarated to be so awake and feeling so vital at 4am, or 4pm. Later still, a soft roll of the boot from Saiz put Lasogga through again, and the tall and the small together were gambolling through the fields. Perhaps this stern immobile tank only ever needed a Spanish Napoleon to command him. The chronology was lost in the hour that the white ten aimed 25 shots at Burton, so that what happened when became less important than that it was all happening. 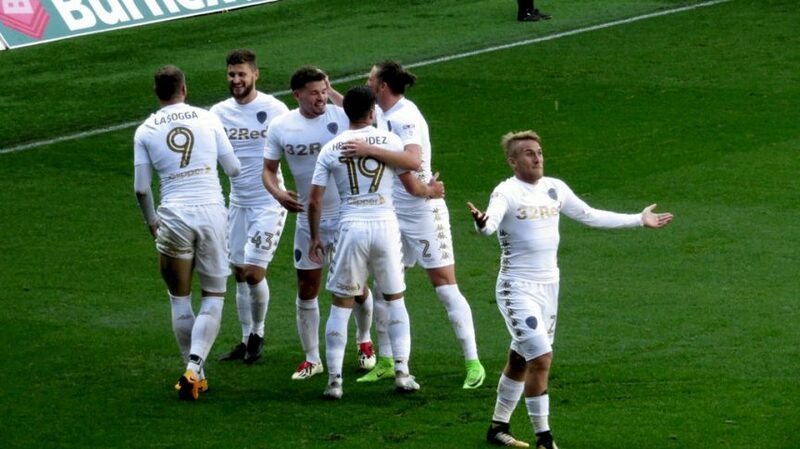 When Kalvin Phillips, returning to your dreams like your favourite teddy bear that was thrown in the bin years ago, struck from the edge of the box where he spends half his days now, waiting for you or another little child to come and pick him up, he was one of seven white-clad creatures fluttering around Burton’s goal, ensuring the ball couldn’t get away. “Oh no,” said O’Kane, as Burton tried to clear, “I don’t think you meant to kick this ball away”; Roofe had shot, now Saiz guarded it carefully, to let Big Kalvin Bear have a shot. That’s what happens when you go to sleep. Dreams are your toys coming alive. — and you open them, and Pablo has gone, and Luciano Becchio is there, and is he spinning or are you spinning or is the world spinning? Is it Luciano Becchio, or Clare Grogan? Clinging to the surface of the planet as it spins through space at a thousand miles an hour. Is it Luciano Becchio? Scoring penalties. That means you have got natural ability. Tenth all time goalscorer. Why are boys obsessed with numbers? Don’t stop dancing or you’ll fall off the edge of the world. Was it the same game or a different day when Kemar Roofe got the ball on the wing? Pablo Hernandez scored a penalty through a thunderstorm. Then Luciano Grogan appeared. Now the sky became a spangle swag of rainbows and varicoloured suns, and Kemar Roofe shouldn’t even be playing, the guy who has never been good enough, but in dreams you can do anything, and being a footballer is a dream come true, so why shouldn’t he? Why shouldn’t he collect the ball from deep in his subconscious, promenade with menace towards the defender, then shoot from wherever and put the ball exactly where he wanted, and call it a great goal because that’s what it was? And why shouldn’t he switch from finisher to conduit, finding Saiz and Lasogga sadly separated, and bringing them back together? Saiz’s pass was a lullaby, the outside of his boot a blanket, and the ball became a nightlight, glowing in the darkness like a descended moon that lit up the pitch around Roofe, and threw its light upon Lasogga. Lasogga moved and waited, waited and moved, and Roofe dribbled the ball side to side, bouncing it on the hard court surface, between his legs this way, between his legs that way, and then up, hup! Up, to Lasogga, who leapt and caught the ball and smashed the backboard, dunked, the rules of this new game uncertain, apart from one certain law: Leeds would win. The hour of deep study was over, and as the muses’ ascended, Burton were left scrambling for the covers during thirty minute’s cruel alarms, with no snooze button. If Leeds United had been relentless, they would have scored more: they would have scored thirty. But just because they relented at five, doesn’t mean they weren’t cruel. In dreams you don’t have to be ashamed to show your class, or embarrassed by the chasm that opens up between you and those around you. Pablo Hernandez is not on a nutmeg bonus, because he doesn’t need extra incentive to delight. He plays his way for the extra joy of playing with Saiz, Roofe, and now Lasogga, and all of them all over the pitch, for they were all part of the dream. Was reading this worth 50p?